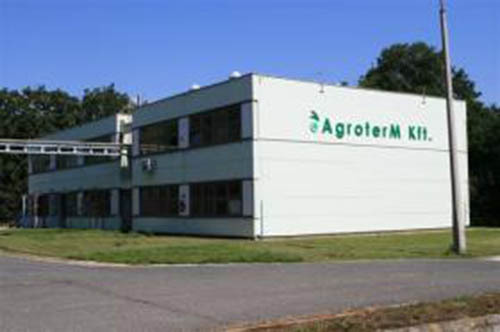 The Agroterm-Chemical Ltd. was founded in 1991 and its actual operation started in 1992. The head office and the production site is located in the following address: Hrsz 06/116, 8182 Peremarton gyártelep, Hungary. The postal address is: 8182 Peremarton gyártelep, Pf. 29, Hungary. Trade of other industrial products. The company is operating on an area of 25000 square metres in an infrastructurally advantageous and easily accessible industrial site, where the vehicular, as well as the railway, transportation is also available. The company has all of the necessary permissions to perform its business activities. In 2002 the ISO 9001:2000 quality assurance standard was introduced and it has been operating since then in the field of the production and distribution of plant protection products as well as organic and inorganic chemical materials. The production of the food additive potassium metabisulphite (E224) is ensured by HACCP food safety standards and the product has Kosher and Halal certificates.